Steven Fraser is a writer and artist who creates unique stories with animation, comic books, theatre and illustration. Steven has exhibited artwork in over 60 galleries all over the world, including exhibitions in Edinburgh, London, Manchester, Istanbul, San Francisco, Toronto and Dundee. 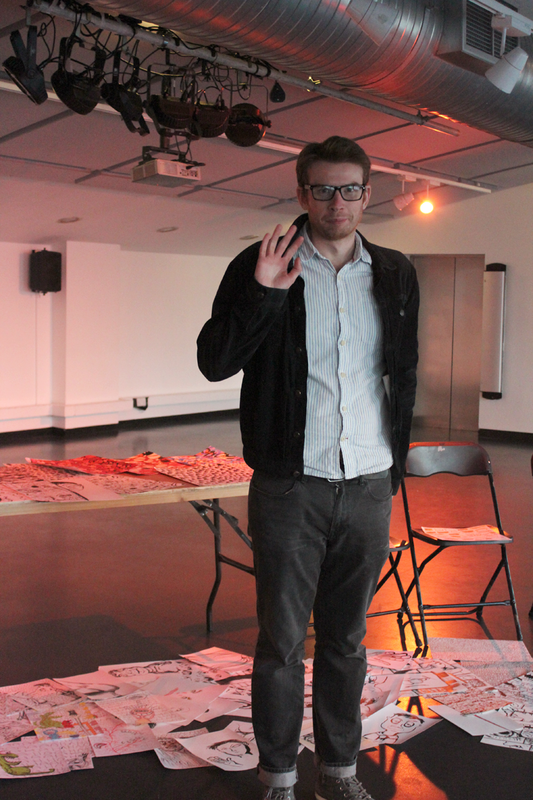 In 2014 Steven formed the theatre company Do It Theatre, a company that utilises illustration, animation and zines to tell theatrical stories through unique theatre performances. We call these events Private Plays. The technique was designed to appeal to adults with autism and metal health issues, but can appeal to everyone. Do It a Theatre have performed at numerous theatre and art festival in the UK and received a New Emerging Theatre Company Award from New Diorama Theatre in London. In 2015 Do It Theatre received Open Project Funding from Creative Scotland to develop a Private Play called Love.Stop.Repeat at Rich Mix London and a separate Private Play called Creature for the Hidden Door Festival Edinburgh. We also received a Small Grant Award for the Tom McGrath Trust to conduct further research into theatre, storytelling and mental illness. Steven has published several comic books and is the creator of Comic Book Poems – a webcomic that combines sequential art and poetry to create a new and exciting method to present comics. His work has also been seen in the FutureQuake science fiction anthology, Wasted Magazine, the Adventures in Comics Anthology and Neon Lit Mag.